Summary:Revegetation of a highly degraded section of the Peel Harvey estuary following construction of the Dawesville Cut. Initial works undertaken in 2003/04 with over 70,000 seedlings planted and 25,000 tree guard installed. Site maintained until 2007 when it was handed over on time and under budget. 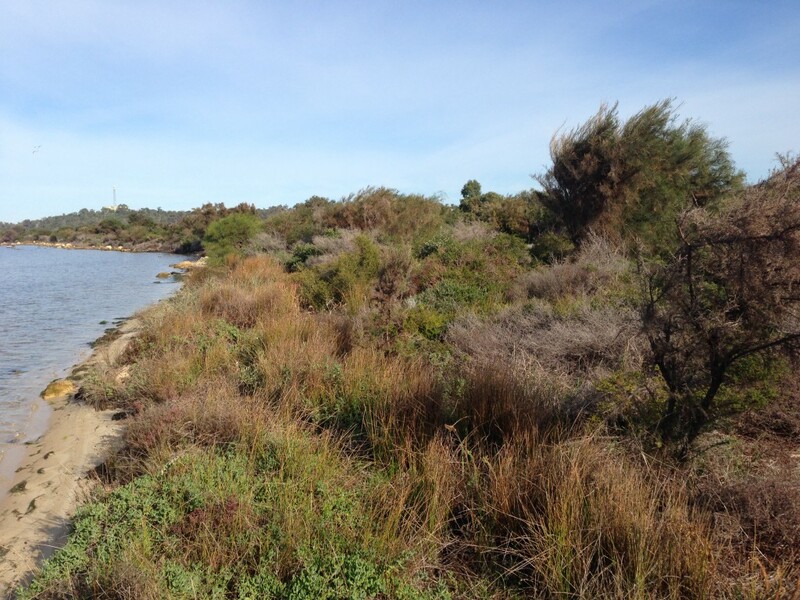 Rehabilitate 5 ha of weed infested spoil dredged during the construction of the Dawesville Cut to a condition similar to that of the adjoining Wannanup Foreshore Reserve. 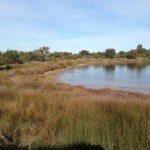 Target minimum plant density 1 plant/m² in main section, and 6 plants/m² along foreshore. 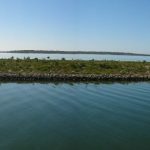 Site to be maintained for three years after installation with management reverting to the City of Mandurah at the end of this period if rehabilitation goals achieved. Highly degraded area with the only native vegetation being occasional pioneer native species (Acacia saligna, Jacksonia furcellata) and dense cover of opportunistic weed species. Site exposed to high wind speeds due to proximity to the coast (SW – W winds), and position on the estuary (E winds). To deal with the weed infestation it was decided to scalp the surface vegetation and topsoil to remove future weed threats. Given the large volume of material and costs involved it was decided to strip the infested material, and manage it on site. 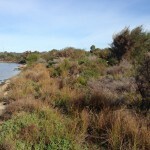 To deal with the exposure to high winds, significant measures were required to allow revegetation to occur. The surface was mulched to reduce sand movement and temporary wind break fencing installed to reduce wind speeds. 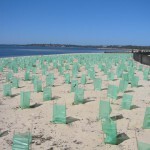 Tree guards were also installed around each planted seedling for added protection. Revegetation of the main upland sections were conducted by planting seedlings at a density of 1 plant/2m² (25,000 total) and direct seeding at 3 kg/ha. Normally direct seeding and mulch are an unsuccessful combination as the seed needs direct soil contact to germinate and support the plant in its early stages of growth. In order to retain the mulch for erosion control, and also facilitate direct seeding, a solution was found of incorporating the mulch into the surface soil, maintaining surface protection but also allowing some soil contact. 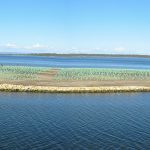 Foreshore interface areas were planted with sedges and other salt tolerant species suited to areas of seasonal inundation (eg Samphire) at a density of 6 plants/m². 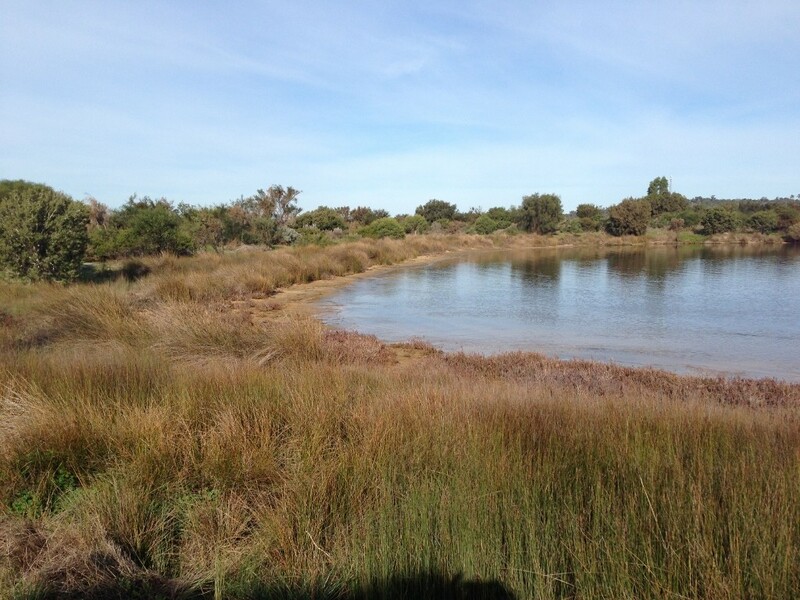 Given the difficulty of obtaining some of these species commercially, cuttings and seed were taken from the adjoining Wannanup Reserve by Tranen to ensure species diversity was maintained. Given the forward planning and intensive site preparation the project was very successful from the early stages, and delivered on time and under budget. Planted seedling survival after the first three months was 94%, and 80% at the end of the first summer. Average plant density in upland areas at completion was 1.6 plants/m². Weed levels were low throughout project life due to removal of infested topsoil and follow up weed control each autumn and spring. 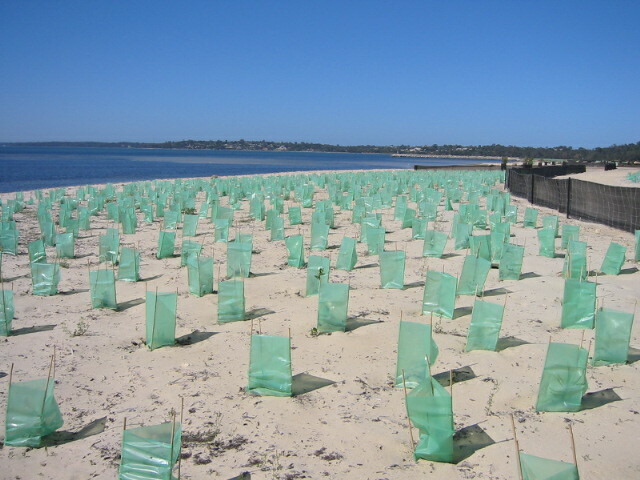 Of the 25,000 tree guards installed, only 5 were lost to the wind due to Tranen’s installation technique.